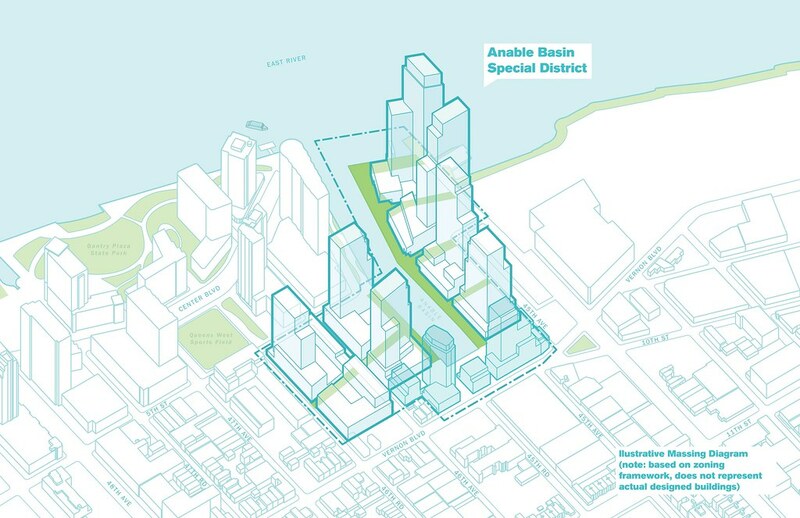 Plaxall Company has proposed a rezoning of the area around Anable Basin to spur future development. 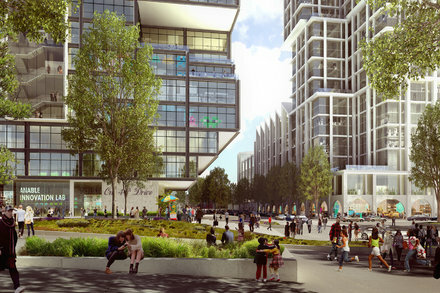 If approved, Plaxall will seek out developers to realize this plan, with a 695’ apartment tower on one of the subparcels. 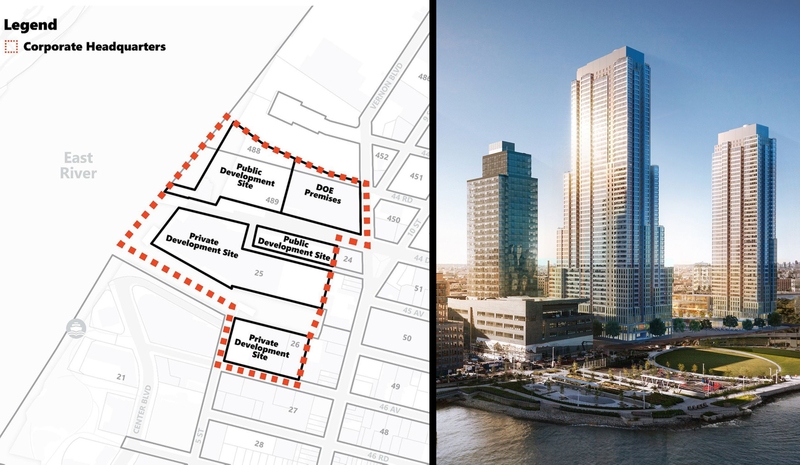 The family that owns a stretch of the Long Island City waterfront is looking to turn it into a mixed-use development with one of the city’s tallest building outside Manhattan. Although I guess it is only about 50 feet taller than the Citi building. “But that doesn’t mean they should have the biggest, grandest development,” she added. 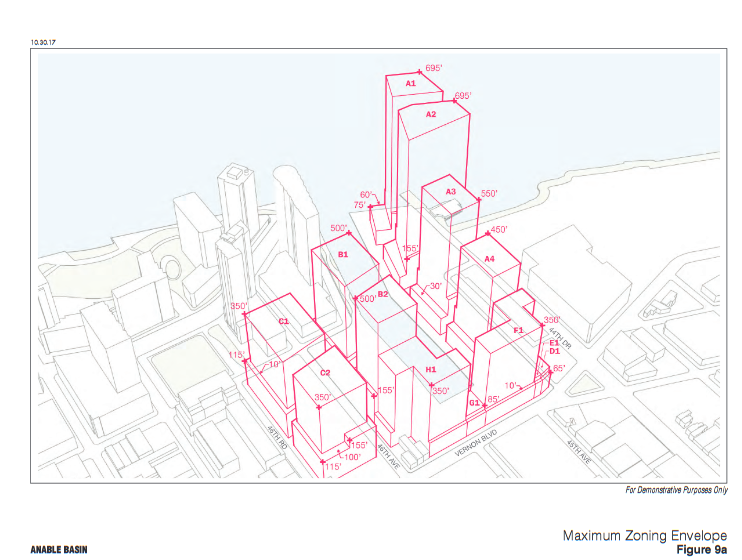 If you disagree, you need to come out and say “that’s not too much” at community meetings on this rezoning. Whether or not it’s watered down depends on public input. I’m pessimistic…these sorts of plans usually are watered down in New York. The councilman that controls this district, Jimmy Van Bramer, killed a 100% affordable building with 210 affordable units that was much smaller than this (only 9 stories). 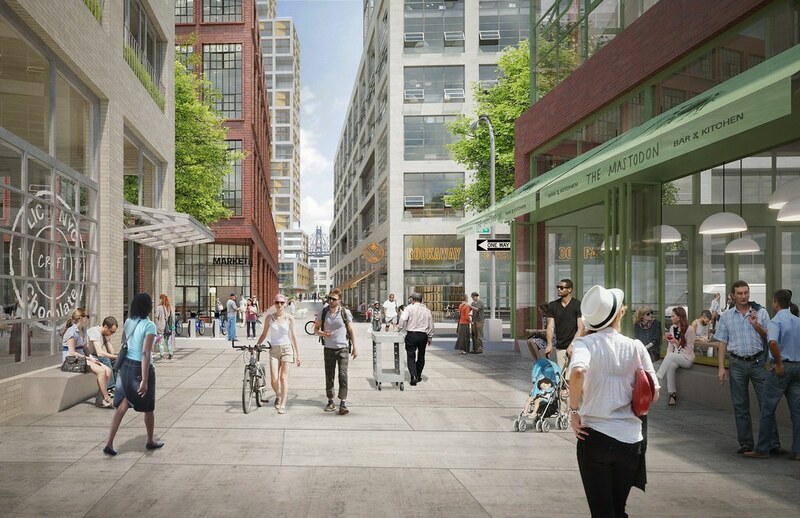 Van Bramer listens to NIMBYs. 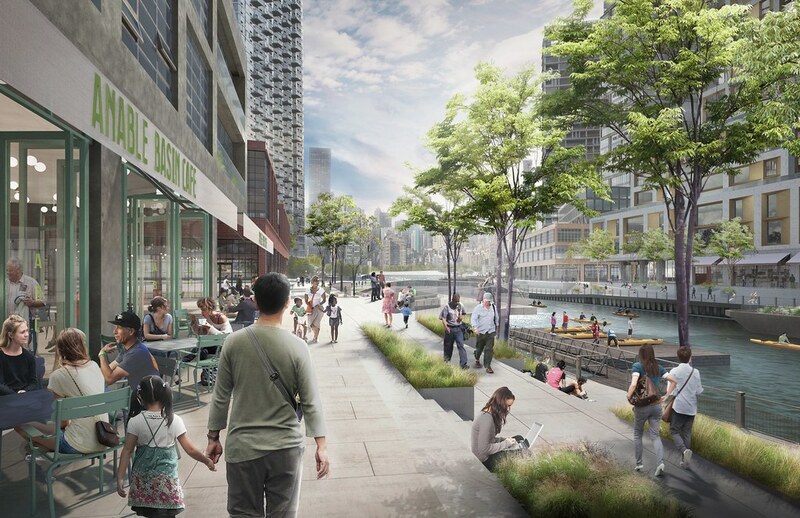 The best way to ensure that it won’t get watered down too much is to vocally support this proposal, especially if you live in LIC/Astoria. If you live in District 26, then you must call your council representative, Jimmy Van Bramer, and tell him you are a resident of his district (provide your address) and support this project because it provides the city with a school and over a thousand units of affordable housing and that you urge him to support it too. If this project gets watered down, that means that fewer units of affordable housing will be built. His phone number is 718-383-9566 and his email is [email protected]. HQ2 will include Plaxall’s and TF Cornerstone’s properties. 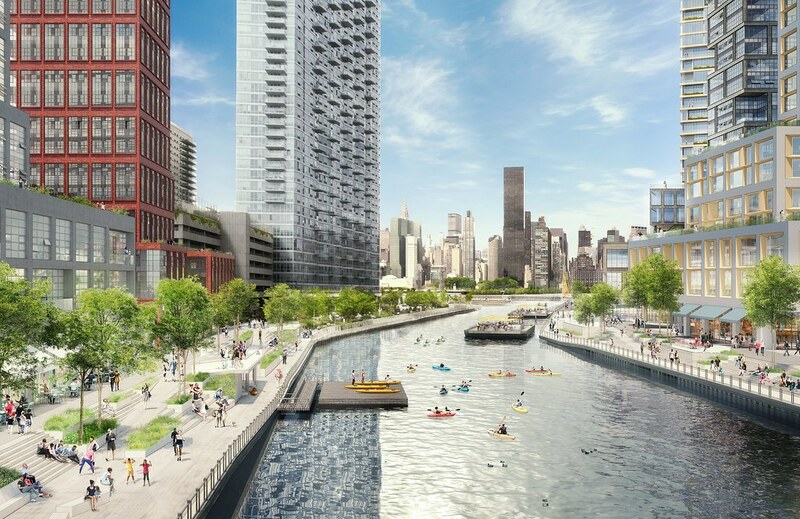 A massive $925 million development is planned for Long Island City with 1,000 apartments and 100,000 square feet of light manufacturing space.